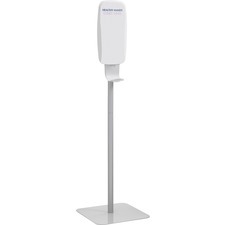 Freestanding station makes Purell Instant Hand Sanitizer available anywhere. Grey. Formulated to lift heavy dirt and grime from skin. 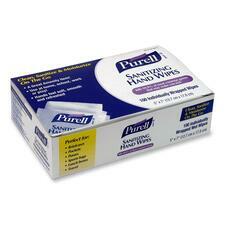 Contains skin conditioners to help prevent dryness.72 sheets/tub. 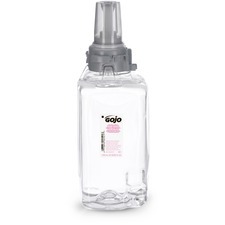 GOJO Sanitary Sealed™ locks out germs. Enriched with moisturizers and skin conditioners.Clear, fragrance free.1.2 L.2 bottles/ctn. GOJO Sanitary Sealed™ locks out germs. Luxurious lather.EcoLogo certified.Pomegranate fragrance.1.2 L.2 bottles/ctn. Ideal for high traffic areas. Easily converts to a locking dispenser.Holds 1.25 L refill (not included).ADA Compliant.Lifetime guarantee. GOJO Sanitary Sealed™ locks out germs. High performance antibacterial soap produces a luxurious lather.1.25 L.3 bottles/ctn.